Loaded scows on the shore of the Athabasca River, c. 1910. Athabasca Archives, 00388. 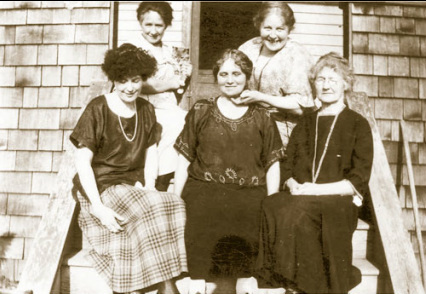 Mrs Gordon, Mrs Cull, Mrs Falconer, Mrs Evans and Mrs MacIntyer sitting on a porch of a house in Athabasca, c. 1920. Athabasca Archives, 00715. 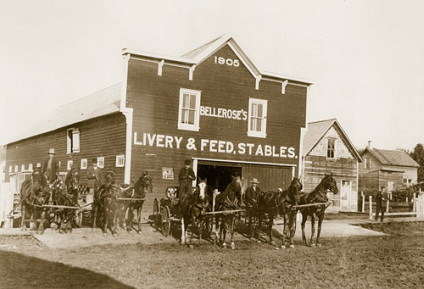 Bellerose's Livery & Feed Stables, Strathcona Street. Athabasca Archives, 14178. 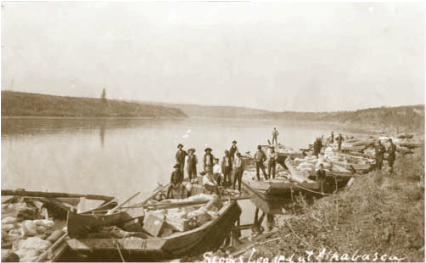 A group of men and loaded scows on the south shore of the Athabasca River. Athabasca Archives, 00688. Farrell and Daigneau Store. From left to right: Hamel, bookkeeper; Joseph Arthur Daigneau; Jim Demers; Moise Hogne and Romeo C. Farrell, c. 1915. Athabasca Archives, 1785. 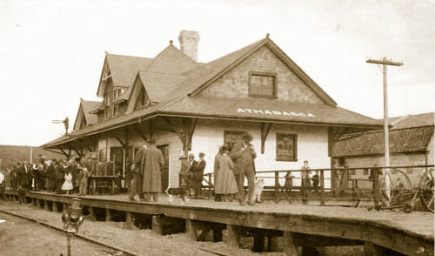 Premier Stewart's visit to Athabasca, 1915. Athabasca Archives, 00739. 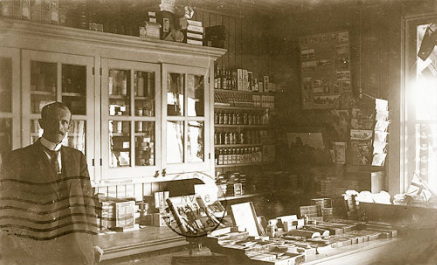 Interior of the first drug store owned by Mr. H. F. Cull, c. 1910. Athabasca Archives, 702.